Reading: We have been doing shared reading for the past month, Alhumdulilah. Every day we pick a special helper who helps the teacher during circle time routines. Afterwards, we read information about him/her written by the teacher. Then, the special helper chooses students to come up and circle/write sight words that are in the morning message. Sk2 are doing wonderful job during shared reading and writing. Reading Program: Alhumdulliah, we have launched the reading program for Sk2. Every Wednesday, our two parent volunteers Sister Madlein and Sister Amina come to SK2 to participate in activities and do reading. 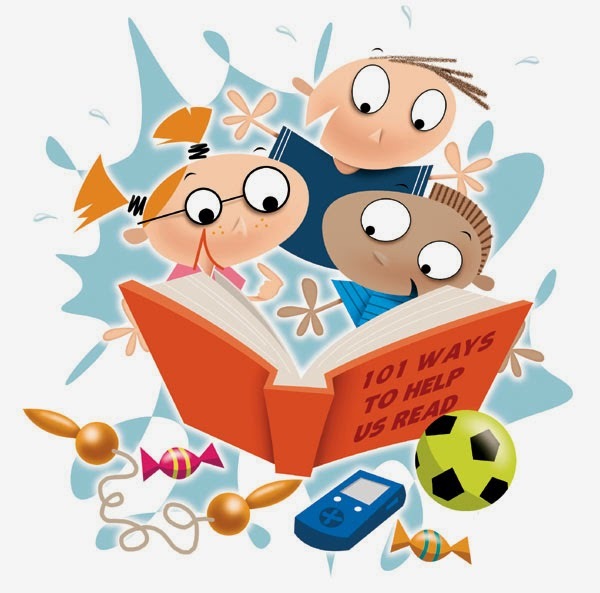 Based on students reading level, they get an opportunity to take part in activities that will enhance their reading fluency. Jazak Allahu khairun Sister Madlein and Sister Amina for your time and dedication. Also, every Wednesday, students will take their book bags home for reading program and bring it back next Wednesday to get a new book, Insha-Allah. Writing: This week we wrote a journal prompt about our 3-D shapes. Students drew and wrote “The 3-D shape I like the most is a ……………..”. We continued learning about 3D shapes and learned their attributes. 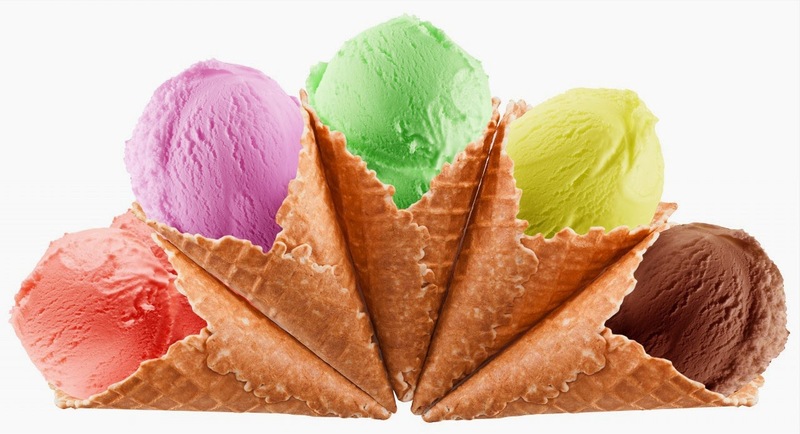 For example, a cone has one face that is a circle and one point/vertex at the top. Also, we did different worksheets about differentiating 2D and 3D shapes and lots of hands on exploration. we ate an ice cream cone and 3D shaped food while watching a movie on Friday. · Look for 3-D shapes around your home. 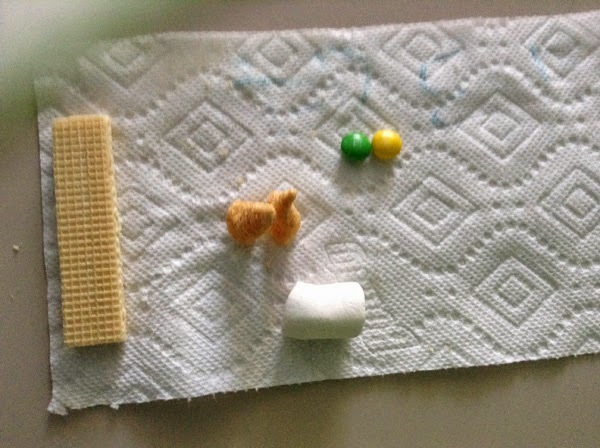 For example, marbles and oranges are examples of spheres and a tissue box is a rectangular prism. Sort and classify the shapes by size and colour. You can also make models of 3-D shapes with toothpicks and play dough. 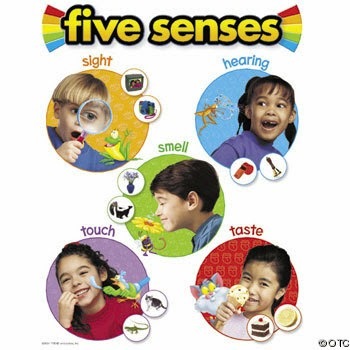 We finished our five senses unit by taking part in a five senses center activity. Station 1: Touch - We touched objects with different textures. Station 2: Smell – We investigated different types of pleasant smells. We also smelled garlic and onion too! Station 3: Taste - We ate yummy raisins. Station 4: Sight - We used a magnifying glass to search objects in the “I Spy” books. Station 5: Hear - We made colourful rain sticks to hear the soft sound of rain. First, we read the story of Prophet Yunus and then watched a video about the story of Prophet Yunus. We also continued to practice praying in class. We will keep work on practicing how to pray properly before we can go to the gym to perform salah with other grades. 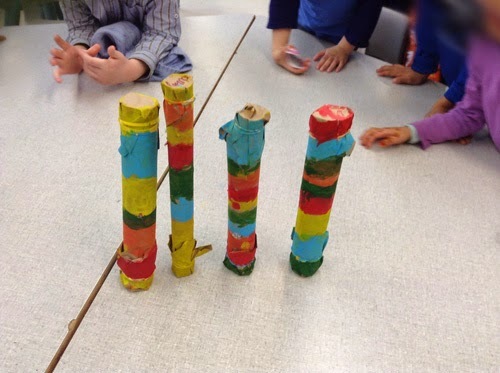 We made rain sticks by painting paper towel rolls. This was an integrated art for our Science station 6. Students feel thrilled and excited to hear amazing sounds coming out of the rain stick using rice and aluminum foil.